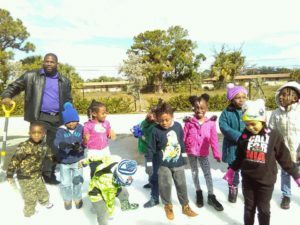 City of Riviera Beach, FL. 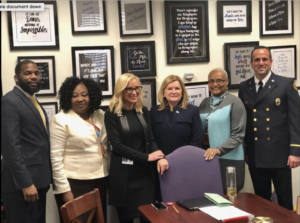 – While residents question lavish spending, Councilwoman Lynne Hubbard, Councilwoman Tonya Davis-Johnson, Councilman Terence Davis, and Councilwoman Dawn Pardo traveled to Tallahassee to advocate and gained funding for a City on the Rise, The City of Riviera Beach. There has been many reports reprimanding the City of Riviera Beach’s councils for lavish trips and overspending on travels. But, none to show the results of hard work, presentations, and negotiations the council has to do while away. Better yet, no reports showing the results of the travels that these hard working council members bring back to the City on the Rise. It is true that Riviera Beach is one of the lowest income communities, and while this often reflected on the people who represent us, our councils are resilient and resourceful. The City of Riviera Beach councils will take every opportunity to gain the appropriate funds from the state budget to keep our city moving forward, which takes team work. The Council Members have a budget for the city and they work consistently to find fundings that will potentially benefit the city’s economic growth. At the last opportunity, only 4 of the 5 councils jumped into action. They completed the paperwork, presentations, and scheduled the necessary time off to advocate for the people of the City on the Rise. The plans would also include air, transportation, and hotel stay. While most may question the claim of councils staying in “lavish hotels“. Consider the benefits of staying in or near the conference hotel. Did you know that the State negotiates the hotel and travel discounted rates due to the amount of attendees and bulk buying all in an effort to be fair to the tax payers? Again, the State, not the council negotiates traveling and hotel. The City’s residents benefits from these cost savings. Especially, since sometimes these travels for city fundings, often take more that one trip, as in the case with the last trip to Tallahasee, when Councilwoman Lynne Hubbard and Councilwoman Dawn Pardo traveled back to present again. This hard work always seems to go unnoticed or unmentioned by the media. Especially, when a part time job working for the people, takes away from the full time earnings. But, these councils are working hard without complaints, and making strides for a city moving forwards. Councilman Terence Davis said he does this because the love and commitment he has for the people of Riviera Beach, the place he was born and raised. He would continue to sacrifice, especially for the children. Councilwoman Tonya Davis-Johnson said she is committed in doing what’s in the best interest of the residents in Riviera Beach. After the second visit to Tallahasee and presentations by Councilwoman Dawn Pardo and Councilwoman Lynne Hubbard to the committee hearings and with State Representatives, Senators and the Governor, the city’s leaders were able to secure funding for the Summer Youth Program, the Environment and Natural Resources for the Riviera Beach Water Treatment Plant, Beach Renourishment, and Singer Island Stormwater Improvements. Sources showed that the Senate Appropriations Subcommittee on Criminal and Civil Justice released their Chairman’s Budget Proposal and the Summer Youth Employment Program was allocated $250,000. The Summer Youth Employment Program was also included in the Appropriations Subcommittee on Transportation, Tourism, and Economic Development Committee for $200,000. The total allocation to the Summer youth Employment Program was $450,000 in the Senate. A number of our water projects were also included in Chairman’s budget proposals. A placeholder was put into the Appropriations Subcommittee on the Environment and Natural Resources for the Riviera Beach Water Treatment Plant Disinfection Project for $200,000. The Committee also allocated $50 Million for Beach Renourishment. The Riviera Beach, Singer Island Stormwater Improvements was included in the House proposal with an allocation of $1,183,000. Beach re-nourishment was funded in the House budget at $25 million. 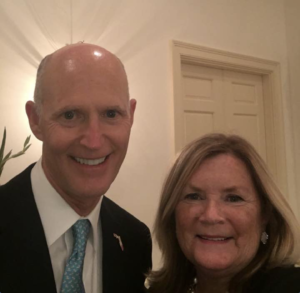 Governor Rick Scott and Councilwoman Dawn Pardo in Tallahassee at the governor’s mansion to discuss Riviera Beach issues. Councilwoman Dawn Pardo, a proven leader, believes that the residents need someone that will fight for them. She also stated that the councils are working with both House and Senate members to increase the allocation to the Water Treatment Plant Disinfection Project and to include an allocation for Avenue H.
The councils sentiment was united and they will do what it takes to make The City of Riviera Beach the best place to work, live, and play. 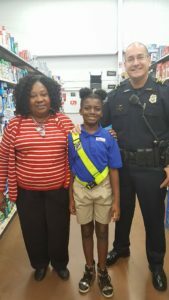 Councilwoman Lynne Hubbard rewarding City of Riviera Beach students on the “Shop with a Cop” tour. While The City on the Rise is a continuing work, Councilwoman Lynne Hubbard said we will continue to work hard to make our city better. A City on the Rise needs strong leaders that will come together and work for its people. 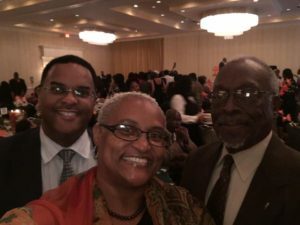 Riviera Beach’s future is brighter than ever and the foundation is strong. These funds are only the beginning of the things these council leaders are doing for our city. Would you still consider this lavish spendings?